To free themselves from the shackles of poverty, African people at home and in the Diaspora must join hands and intensify their efforts in the fight for the second phase of their struggle for economic freedom. This was the opinion of President Geingob who participated in a Heads of State and Government Breakfast Meeting in memory of the 400th Anniversary of the Atlantic Slave Trade that was convened by the President of the Republic of Kenya, Uhuru Kenyatta and said the darkness of the Atlantic Slave Trade reminded him about Namibia’s and Africa’s own struggle against colonialism as a form of slavery. Dr. Geingob also held a bilateral meeting with the President of the Republic of Estonia, Kersti Kaljulaid, with the objective of deepening collaboration with the Government of Estonia on e-governance and digital transformation. 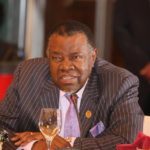 During this meeting on the margins of the Au Summit, President Geingob said that Africa was changing. He lauded on-going cooperation between the two countries in e-governance and digital transformation and called on strengthening the partnership for Namibia to leapfrog and participate fully in the Fourth Industrial Revolution. The two leaders agreed that as small states, they faced unique and common challenges and needed to collaborate more. On Sunday President Geingob held a bilateral meeting with the President of the Union of the Comoros, Azali Assoumani, who briefed the Chairperson of SADC about political developments which included presidential elections scheduled for March 2019. 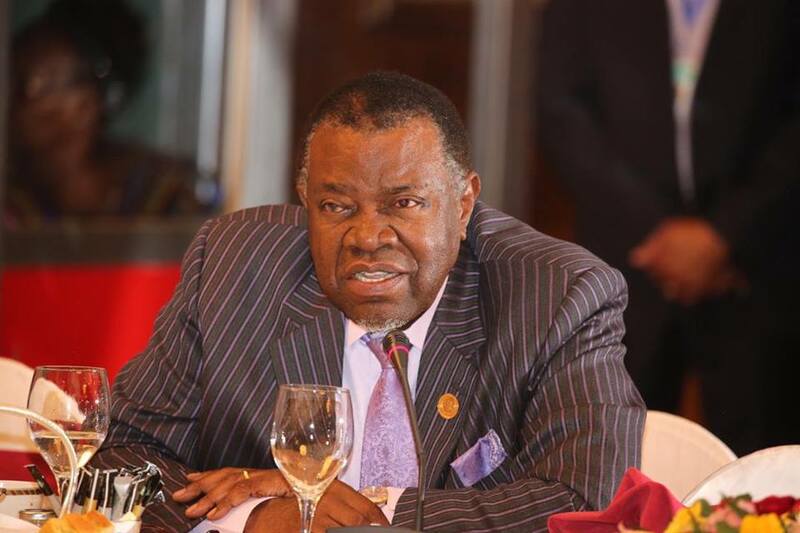 Committing SADC support within the framework of the protocols, President Geingob accompanied by the executive secretary advised that it was important for countries in the region to solve disputes internally and peacefully. Dr. Geingob concluded his working visit to Addis Ababa with a meeting with the outgoing Executive Director of the UNAIDS, Michel Sidibe. Sidibe said that Namibia has made a lot of progress to achieve the 90-90-90 targets agreed at the UN General Assembly on HIV/AIDS in 2016, with new infections reduced by 20 percent since 2010, mother-child transmission reduced to less than 5 percent and that Namibia managed to increase domestic funding for the battle against the dreaded disease with up to 65 percent. Sidibe lauded Namibia’s leadership in HIV-AIDS, and said the Namibia needs to continue and sustain its achievements. Acknowledging Namibia’s progress report in dealing with the HIV/AIDS, Dr. Geingob expressed the need for Namibia to focus on the Road Map of the HIV-AIDS Sustainability Framework for Epidemic Control. With Namibia elected to the UNAIDS Coordination Board representing the Eastern and Southern Africa Regions for 2019-2021, President Geingob said that the continued imports of vast amounts of vaccines was unsustainable and needed to be addressed. President Geingob thanked Sidibe for his sterling leadership of UNAIDS over the past ten years, and wished him success with his future endeavours.